The number of ways companies can reach and engage with their customers through traditional marketing has exploded over the past ten years. We are flooded everyday with traditional marketing tactics (online in particular), and have learned to block many of them out. Think about how quick you are to click “Skip Ad” on the advertisement at the beginning of a YouTube video. During this time, a new form of marketing has evolved called inbound marketing. Inbound marketing is defined as a methodology that focuses on creating quality content that pulls people toward your company and product. If you aren’t familiar with the term, then you are definitely familiar with some of the tactics: social media, landing pages, blogging, and SEO are some of the more common, to name a few. At the forefront of the inbound marketing movement is the company that coined the term, HubSpot. 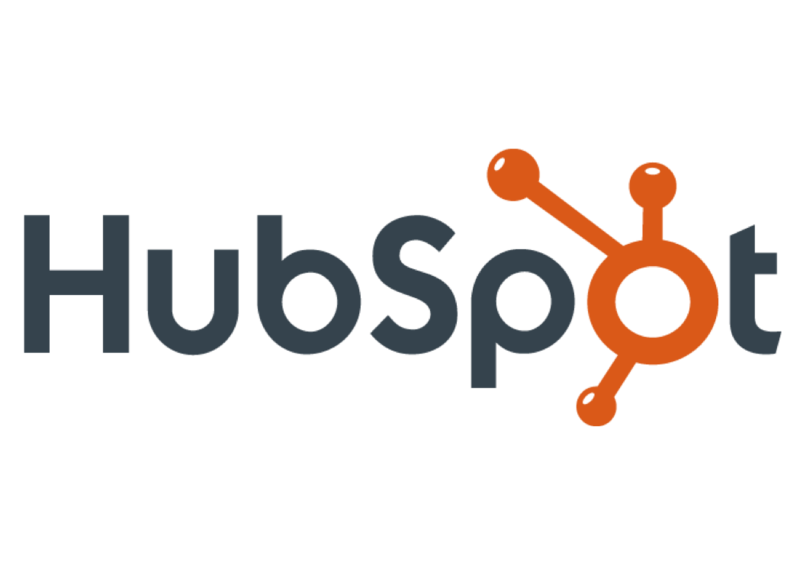 HubSpot has built powerful software for inbound marketing and they have just announced a direct integration with Eventbrite as part of HubSpot Connect, their integrated platform that helps you power the marketing for your whole business. 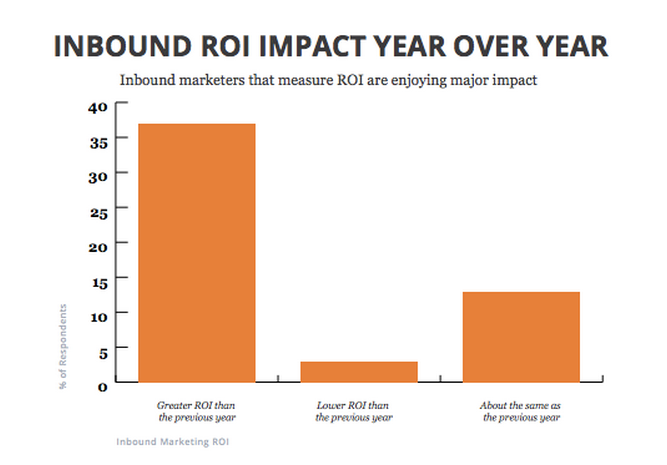 In HubSpot’s most recent annual report, State of Inbound, over 35% of survey respondents who measure ROI of inbound marketing saw a greater ROI this year than the previous year. Similar to inbound marketing, using live events for marketing also helps you stand out from the noise happening online and in people’s inboxes. In-person connections at events can be a more visceral experience than online ones, and they can’t be easily replicated by your competitors. Combining live events with inbound marketing can be a powerful combination that any savvy marketing should consider. If you use these two marketing strategies, then you want to make sure all efforts are kept in sync, both in terms of the people working on them and the systems used to carry them out. Now you can do just that by directly connecting your Eventbrite account to your HubSpot account. By having your event marketing platform linked to your inbound marketing platform, you can understand how your customers are engaging with your brand and product before and after they attend your event. With HubSpot’s tools for blogging, email, landing pages, call-to-actions and more, you can grab someone’s interest and then have them register for your event. Then you can further strengthen those relationships around the live event by using Eventbrite’s tools for promotion, registration, social media, entry management, and more. Finally, both platforms give you tools to track the ROI of your marketing activities with reporting and analytics. 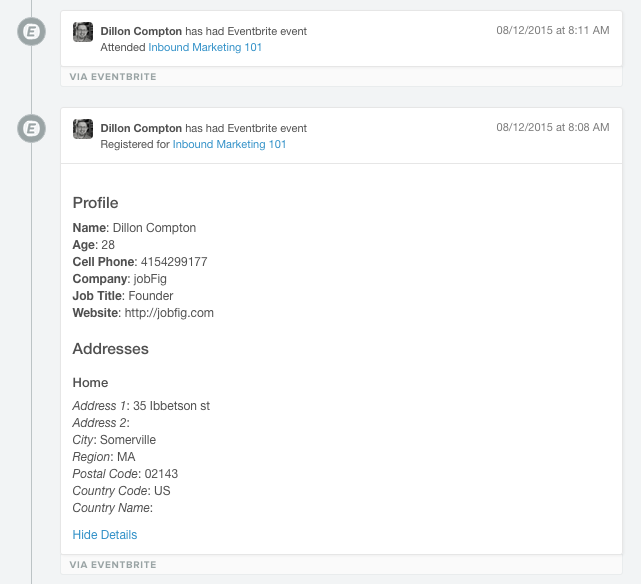 Once you connect Eventbrite to HubSpot, you can see and track all your upcoming and past events, along with all the registrant and attendance data for each event. In the lead timeline in HubSpot you’ll see when customers register for your event and when they attend the event, right alongside when they watched a video or downloaded an e-book, for example. If your organization uses HubSpot today or is considering it, then you’ll definitely want to check out this integration. By having your inbound marketing closely tied to your events, you can ensure your events are impactful by delivering relevant content to your attendees leading up to the event and after the event is over. And, if you work in a bigger organization, you can make sure everyone in marketing is on the same page. For more information on the Eventbrite integration with HubSpot see the Eventbrite landing page on HubSpot Connect.